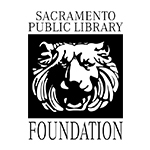 Every day is a great day at Sacramento Public Library. When we walk through the doors we know that we’re going to make a difference in the lives of the public that walk through the doors with us — whether we’re building a community of readers, bringing topical discussions to the forefront or advancing education for all ages. Walk through the doors with us and make a difference. Keep Sacramento moving forward by making a tax-deductible gift today.